For almost 40 years P. J. Skidoos has served the Fairfax area with fine food and live entertainment. 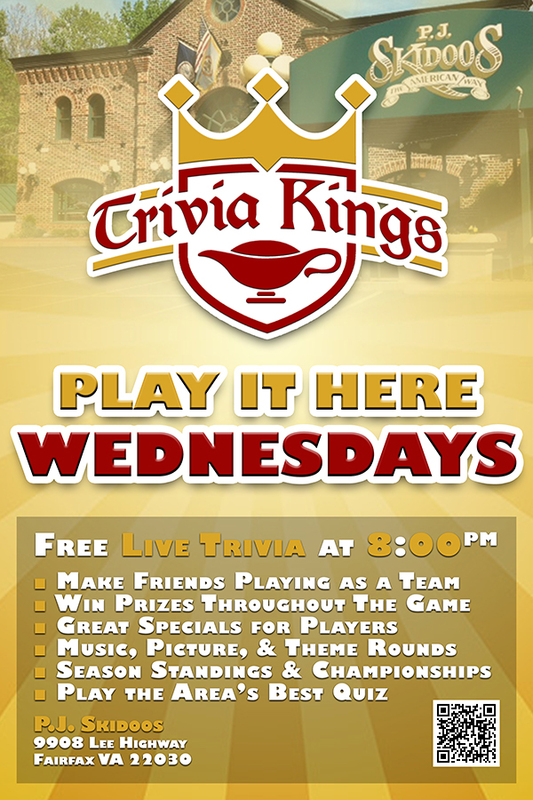 We were honored when Trivia Kings was brought in to become a part of their rich history. Today, the quiz night features players from far and wide across the area as well a mix of casual fans and astute competitors.